"What do you do?" "I drive." Action movies almost always get dogged by critics, even the ones that are clearly in it for only the cool special effects and zippy one-liners. But, right out the gate, the Ryan Gosling-starring vehicle thriller had the usually sharp tongues wagging when it premiered at the Toronto Film Festival earlier this month. Although its trailer lacks the intrigue the film provides, Drive is a riveting watch. Oscar nominee Gosling (Half Nelson, Blue Valentine) continues his impressive takeover of the big screen as a reticent mechanic who moonlights as movie stuntman for extremely dangerous car scenes. Besides having a knack for cars, he's also pretty good at smashing guys' heads into the floor as a wheelman. 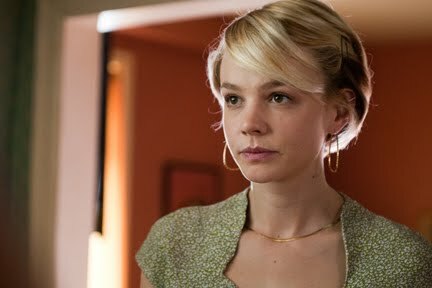 His usually low profile is put to the test when he gets a little too close to his even more reticent neighbor, Irene (Carey Mulligan), whose husband is just a few days shy of being released from prison. "The Driver," as Gosling is referred to in the movie, gets wrapped up in a heist that goes awry with a few other shady characters, Shannon, Bernie, and Nino (Bryan Cranston, Albert Brooks, and Ron Perlman, respectively). When his back is to the wall, The Driver is left to only do what he does best--kill or be killed. The description alone sounds like it has the makings for a C-movie starring Jason Statham. But what distinguishes Drive from a host of other similar movies is the top-notch acting (especially from Gosling), and the way the movie is shot. Even the movie takes place in present day, director Nicolas Winding Refn gives the movie an 80s feel by shooting with an almost faded lens, adding a rocking soundtrack and putting Gosling in a badass bomber jacket with a scorpion on the back. Admittedly, the movie starts out a bit slow, and you have no idea where it's going to go. 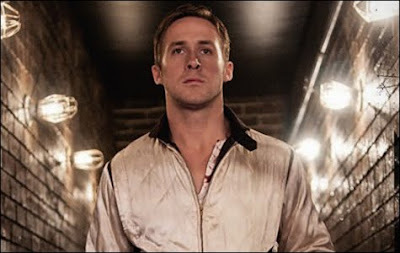 The Driver doesn't even speak for about the first twenty minutes of the movie, which really highlights how well Gosling can act even when he's not saying anything. He's actually fascinating to watch when he's just taking in the scene with small gestures and looks. But Mulligan, on the other hand, remains unfascinating onscreen. Although she's not a bad actress, she's not the most captivating to watch. And, without any dialogue, she's even more of a bore. Her expressions, unlike Gosling's, give away no specific emotion whatsoever, which makes you feel nothing for her character. This makes her scenes with Gosling slightly uncomfortable to watch. But when the movie does finally pick up in the second half, it really gets going and becomes a cranium thrill ride. The events start to unfold rapidly as each character comes to light. Cranston continues to amaze audiences as he tackles a variety of characters, including the seedy film producer/mechanic, Shannon. Funnyman Brooks is also impressive as the menacing Bernie and Perlman rounds out the main cast as Bernie's right hand man, Nino. Although Drive isn't exactly reliant on heavy dialogue, its delicate and gradual character sketch of The Driver is very effective. The movie may not be for everyone, but few will be able to deny Gosling's remarkable grasp of the character and his amazing performance, which ranks as one of the best male performances of the year so far. Check it out. Great review, Candice! And I'm in total agreement with you about this movie. It's a really fascinating hybrid: part sheer art film, part mainstream popcorn action flick. That doesn't sound like the two halves should meet in the middle, but they do with relative ease. You are also right on about Gosling...it almost appears like he is doing nothing. Then you realize how much you care about him. Anyway, great film, great review. Thanks for this review Candice. Drive was a big hit here in Toronto during TIFF. Definitely a movie I want to see. This was a blast. I would like to imagine Gosling being nominated for Best Actor, but I don't see it happening. Great review. This film was so powerful. I think the slow-burner effect of the film really enhanced the overall experience. The slower first half really accentuated the dramatic (and violent) second half. Loved it!